We have watched Trippie Redd’s career skyrocket before our eyes over here at LL, with the obvious highlight coming last Summer in the Cole Bennett-directed visual for Rack City/ Love Scars 2 that may have been the introduction for some to the 19-year-old from Canton, Ohio. 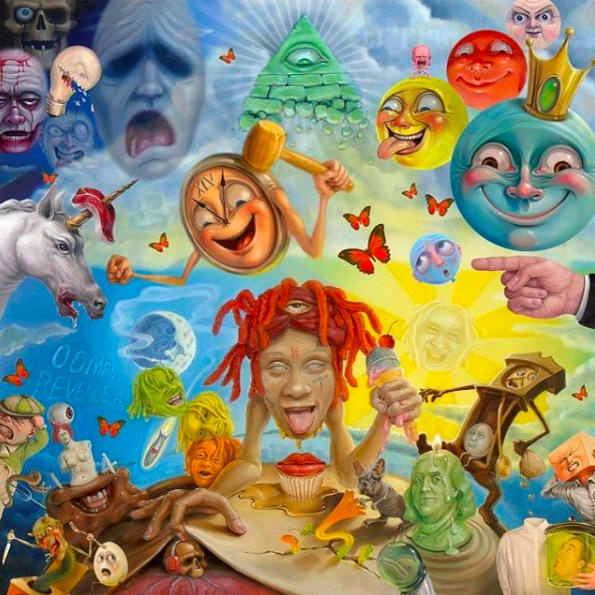 Since then, the roll-out of hits from Trippie hasn’t let up and now, we’ve been given his sparkling debut project in Life’s A Trip compiled of some of his best work to date. Arriving at a steady 14 tracks, the record includes the powerhouse singles in Together, Taking A Walk and Dark Knight Dummo with Travis Scott including additional features from Young Thug & Reese LAFLARE on Forever Ever that may just be one of the best songs I’ve come across from the XXL Freshman. With production from Murda Beatz, OZ, Avedon and Scott Storch too, there really is no missing pieces on this record and with the outstanding quality of his music prior to the project, it should be no surprise. Be sure to take in Trippie Redd’s Life’s A Trip below and leave us your thoughts on the album in the comments section!